I’m on the subway all the time. It’s a great place to let your imagination loose and get ideas. You’re surrounded by so many people and stories. I saw a young girl glued to the window, fascinated by the tunnel. It got me thinking about how one’s imagination is always active when you’re a kid. I started wondering, what can she possibly see? Beautiful flowers? I tried to see the tunnel through her eyes. 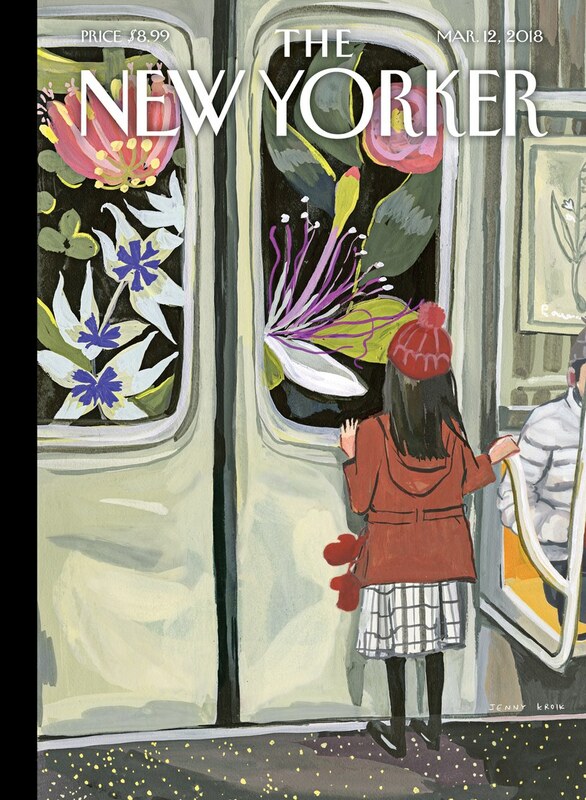 Check out Jenny Kroik's new cover illustration this week and also on their website, The New Yorker.